The Confederation of African Football congress in Seychelles has voted to adopt controversial new rules that will bar anyone outside the executive committee from contesting the organisation's presidency. The new rules have put paid to Jacques Anouma's ambitions of dethroning long-serving Caf president Issa Hayatou next year. Under the new rules brought in on Monday, South Africa's 2010 World Cup chief Danny Jordaan is also ineligible to run for the continent's top football job. The controversial amendment states that anyone seeking the presidency must be a voting member of the executive committee. 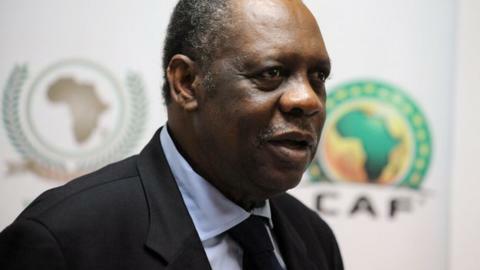 Hayatou's critics say the express intention of this amendment was to bar Anouma from challenging him. Anouma is one of Africa's representatives on the Fifa executive committee by virtue of which he sits on Caf's Executive Committee as an ex-officio member. Such ex-officio members are not directly elected by Caf's General Assembly to sit on the Executive Committee and as such they do not have voting rights, although they are free to participate in all the deliberations. Forty-four nations voted for the amendment, which was proposed by Algeria, with six nations voting against and one abstention.